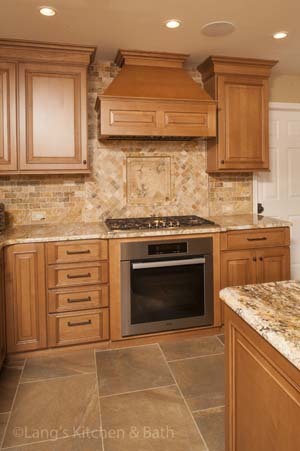 Our kitchen design experts provide the ideal balance of elegant features with a warm tradition. No matter your style, our designers create dream kitchens for Newtown! 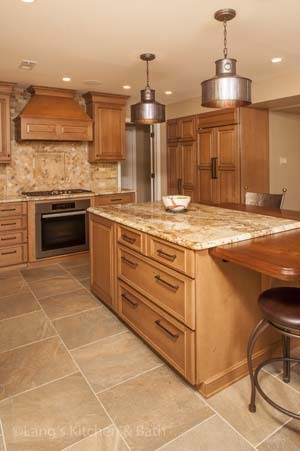 This kitchen design in Newtown, PA provides the ideal balance of elegant features with warm tradition. 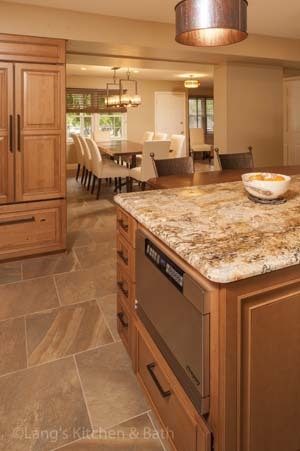 The tumbled marble backsplash gives an eye-catching backdrop to the maple cabinetry. A wood butcher block is integrated into the island, and is used as a table in the kitchen. The island also includes a built-in microwave and warming drawer, and the kitchen is equipped with a built-in refrigerator, copper sink, and a charging station. The open kitchen and dining area was finished off with a stunning Living Edge dining room table, making this the ideal space for family dining or socializing.